With better graphics, interactive bonus games and innovative designs, slots are getting more and more advanced. Game providers are all competing to provide us with the ultimate entertainment. Beneath the amusing and charming exterior, we do however find the same old mechanics that ensures that the house always has an edge on us. In spite of this, we still love taking our favourite slots for a few lucky spins, hoping to hit that big win. In the following article we will take a closer look at the mechanics behind slots, why we’re losing on them, how we can improve our chances of winning and why we love to play so much. Slots have no memory. They never know how much you have won or lost and therefore this will never affect the outcome of a game round. Every spin is unique and the outcome is always randomly decided, which is guaranteed by a random number generator (RNG) being used in the slots. To give a very simple example of this, you could picture rolling a die. The chance of hitting either one of the six numbers on this die is 1/6 every time you’re rolling it, no matter what it has previously shown. Slots work in a similar way, but where every number is a combination of different symbols and every time you press the spin button, it’s not a die of six numbers rolling, but a die that has thousands of numbers and thousands of different outcomes. Another slight difference is that the probability for each outcome on a slot machine is not the same to one another. There’s something called hit frequency, which is a value set to determine what the probability should be for a certain outcome to happen. Let’s illustrate this by going back do the die again and picturing that the number 6 represents the highest paying symbol in the slot, whereas the number 1 represents the lowest paying one. Instead of every number having a 1/6 chance of showing up, we’re reprograming the die so that the number 6 is showing up half as often (1/12) and the number 1 twice as often (1/3). When we’re now rolling the die the outcome will still be randomly decided, but the probability of hitting the number 1 is now twice as high as 2-5 and four times higher than hitting the number 6. We could also illustrate this by coming up with our own slot machine. Let’s call it “The Lucky Aquarium” and make things really simple by only giving this slot five different symbols; treasure chests, golden fishes, purple fishes, yellow fishes and red fishes. As you can see in the table above, this made up game has a probability (hit frequency) of 1/100,000 (0.001%) to hit a winning line of five of the highest paying symbols (treasure chests), whereas the probability of hitting any winning line of five symbols is about 1/13 (7.566%). This is an example of how it could look like in a real slot. It is however important to know that all slots have different values when it comes to payouts and hit frequency. 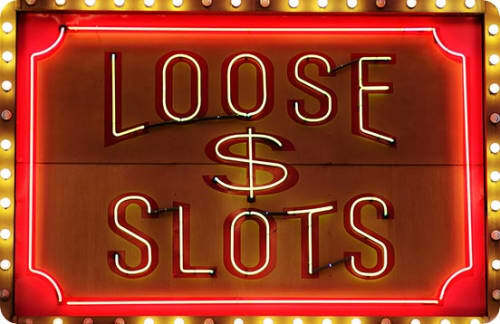 Generally speaking, it’s fairly common that slots have about 40% probability of hitting any winning line of any symbols. As chance is always the deciding factor it is over a certain period of time possible to make a profit playing slots. With that being said, the house will always have an edge on us, which means that the more we play, the more likely are we to lose and in the long run we’re always losing. The reason that we’re losing is simply because the slots are programed to give an advantage to the house. Apart from the hit frequency determining how often we’ll get a winning outcome, there’s something called “return to player” (RTP). This is a value that’s determining how much we in theory will receive back on every spin that we make. The return to player (RTP) is always lower than 100% as 100% or more would mean that the house didn’t have any edge. For online slots the RTP value is usually somewhere between 92-97%. Let’s say that we’re playing a slot that has an RTP of 95%. This means that we on average would get 95% back on every spin that we make. When we have bet a total of 100€, we would in theory have received €95 back, thus losing €5. As chance is always the deciding factor, this will in reality rarely be the case when €100 has been bet. Instead it could very well be that you were very lucky on your first €100 and ended up with a sum of €400 or that you had a terribly bad luck which resulted in only €20 left. In the very long run, you will however on average have lost €5 for every €100 bet. How much do slots pay back? How much you’re winning and losing in the long run is all determined by the RTP. This value is based on the probability for every outcome and the value of those outcomes. If we go back to the table of our made up game, we’re able to calculate and add what the RTP is. This is done by first calculating the RTP for every possible outcome, which is done by multiplying the probability (hit frequency) of the outcome with the value of it. To get the total RTP of the slot, we then simply add all of these separate RTP values together. In our example slot the total RTP ended up with a value of 97,5%, which is quite a common value amongst online slots. Please do however note that this is a very simple example and that the slots we’re playing on have a lot more symbols and winning outcomes that can happen. For us to be able to calculate the RTP of an online slot, we would have to know the probability of each outcome, which we never do. Luckily this is already done by the game provider and the RTP can always be found in the slot’s information. Why play slots - is it possible to win? If we’re always losing in the long run, why on earth are we then playing so much? The main reason is of course for entertainment. Playing slots isn’t really an investment for future, but neither is going to the movies or having a spa-weekend. It doesn’t have to be, because it’s incredibly amusing and give us the thrill and excitement that many of us aren’t getting in the everyday life. As chance is always the deciding factor it is of course also possible to win really big, even though the odds speak against us. If we’re playing jackpot slots where it’s possible to win several million, our lives would not only change forever if we would win, but most likely we would actually have beaten the house and ensured a lifetime profit. 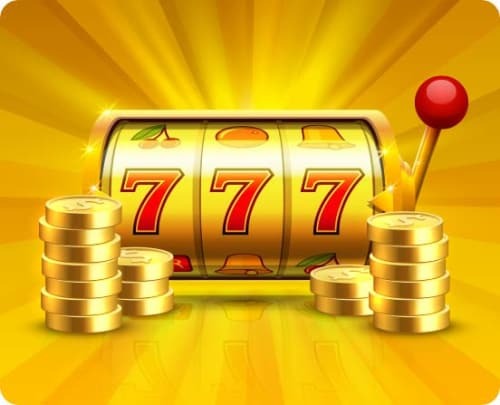 Of course the chance of winning such a life changing jackpot is very small, but the chance is always there and someone will definitely win it, which is the beauty of playing jackpot slots. 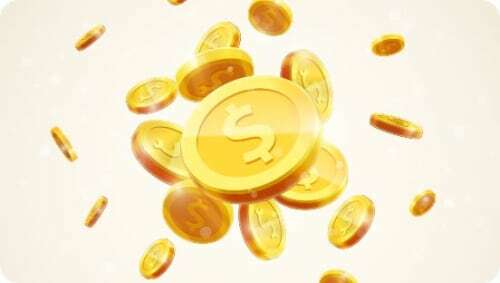 Even though we can never affect a slot’s RTP, we are actually able to increase our chances of being profitable by taking part of good bonus offers. This is because we’re receiving money that is not our own, but which we are able to turn into profitable withdrawals if lady luck is on our side. To summarize, slots do not only provide entertainment and a well-needed excitement in our everyday lives, but there’s always a chance to hit big wins and even win life changing amounts. It is however important to be aware of the RTP and that the house always has an edge on us, which will always make us lose in the long run.